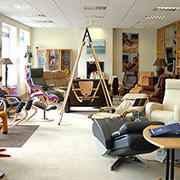 Plus - BackInAction Expertise To Fit You to the Right Size Stressless Chair. 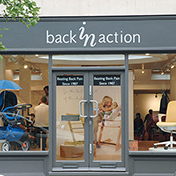 Plus - BackInAction stores have a fantastic choice of sleep, work and relax products to try. 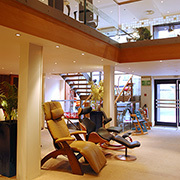 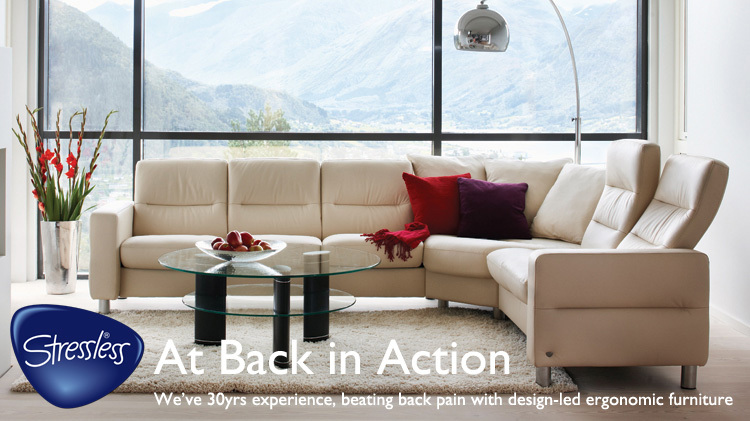 Remember:- We've 30 years expertise at beating back pain by design-led ergonomic furniture. 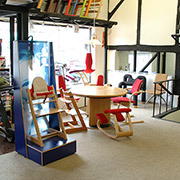 London, Marlow, Amersham, Bristol... You'll get a great welcome from our Family Business, and be able to FEEL and choose fabrics and colours, all with Free Deliver to most areas.